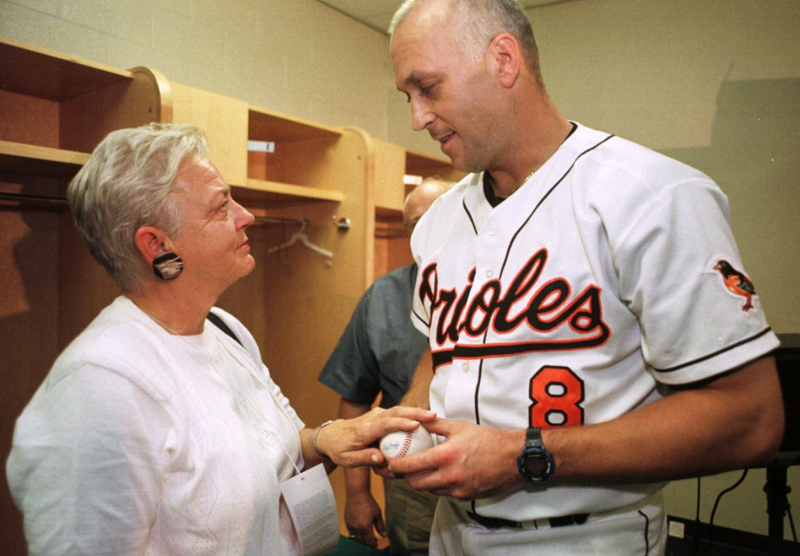 A man with a handgun confronted Cal Ripken Jr.‘s mother outside a bank in Aberdeen on Tuesday afternoon and told her he wanted to steal her car, according to police. Vi Ripken was able to scare off the man, who was later apprehended by Aberdeen police, by activating the panic alarm on her key fob. She was uninjured, and the man ran away without taking anything, said Lt. Fred Budnick, an Aberdeen police spokesman. She was approached outside the NBRS branch in the 200 block of W. Bel Air Ave. about 3 p.m., Budnick said. The incident was the second in just over a year involving Vi Ripken in Aberdeen, a community known for its low crime rate. Wow. Vi can’t catch a break. First, she’s kidnapped, now this? I feel like Vi can absolutely handle herself, too. There’s actually no doubt in my mind. I’m honestly still terrified of my Grandmother, can’t even imagine the wrath of the Ripken. Oh yeah, hey officer.. you think it’s unusual? This is Baltimore.